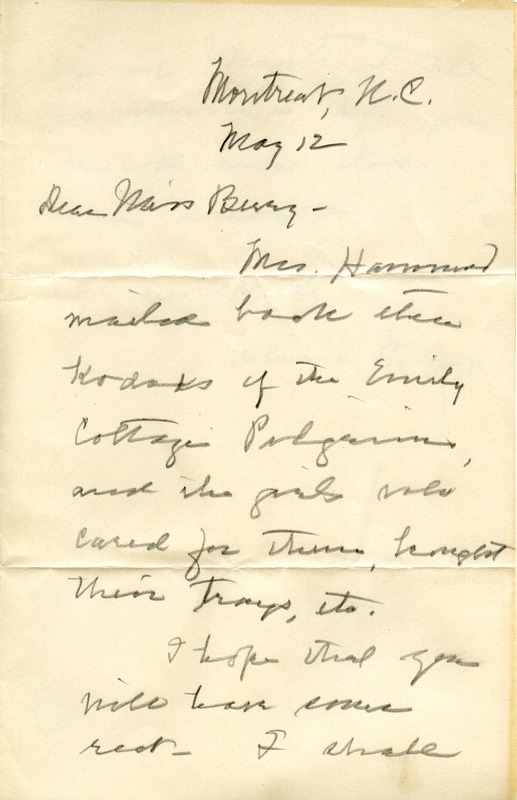 Wingo lets Berry know that Mrs. Hammond has mailed photographs of the Emily Cottage Pilgrims and the girls who took care of them. Wingo will be at Montreat all summer. 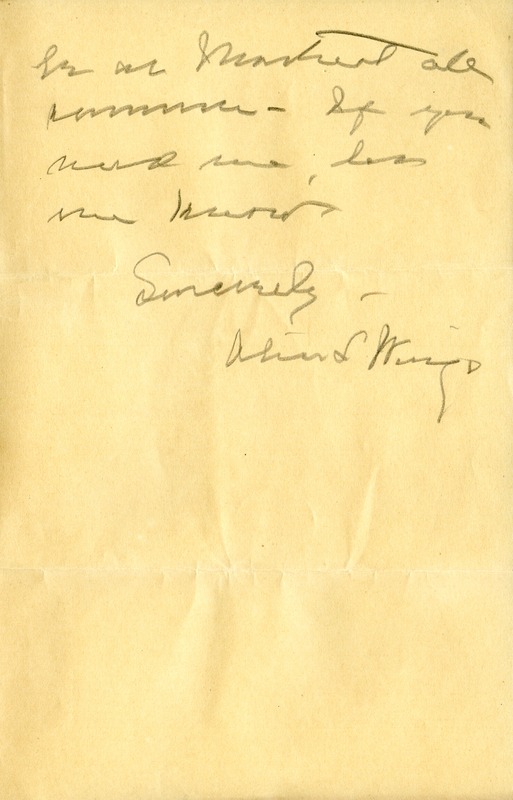 Alice L. Wingo, “Letter from Alice Wingo to Martha Berry.” Martha Berry Digital Archive. Eds. Schlitz, Stephanie A., Sherre Harrington, Meg Ratliff, et al. Mount Berry: Berry College, 2013. accessed April 22, 2019, https://mbda.berry.edu/items/show/11404.